I cannot make out the name in the center - can you? The key here is finding a labeled example. My hunch is the brand name featured on the label is something else and the company was more of a distributor. 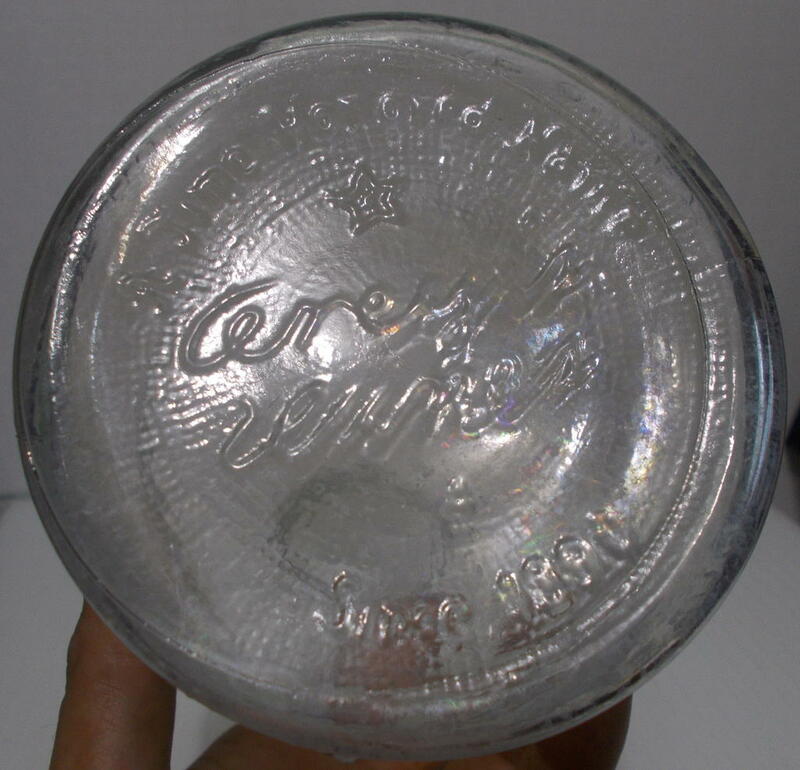 Have seen other similar examples of 20th century bottles like this. I am really curious to know what you found out about this bottle. 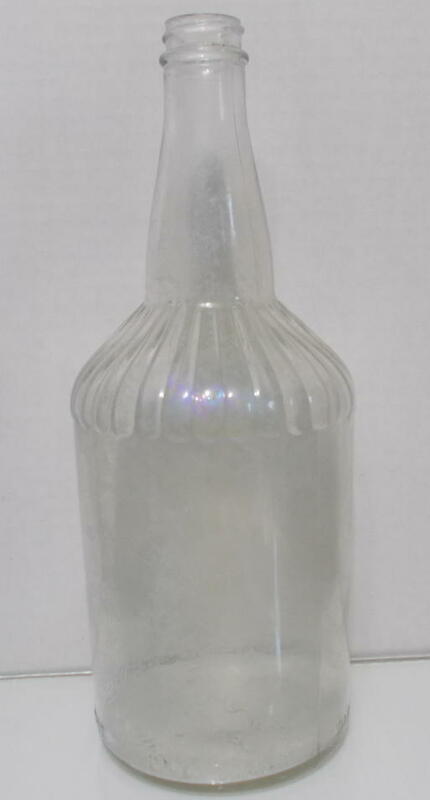 I just found a bottle with the same thing written on the bottom and the same pattern around the base of the neck. The only difference is it is the size of a beer bottle. It says "4/5 pint" around the base. Also I think the first letter could be an A.
I will post a picture when I clean up my bottle, and let you know if I find anything else out. I found it on the property of my 80 year old house. Please do post a photo. If you can shed any light on what exactly is embossed on the base, that would be helpful. I am still not sure of the brand name. Anyone ever figure this out? I found the same bottle (Raleigh, NC) near the lake in near perfect condition. Tried to take a crayon and rub the bottom, but to no avail. Interesting, now we have two reports of this bottle from North Carolina. @TexasTea - I am curious where you found this information? I did a bunch of digging online and came up with nothing.